General view of the Apple Watch during the Apple Covent Garden re-opening and iPhone XR launch at Apple store, Covent Garden on October 26, 2018 in London, England. How to save $50 to $100 on Apple Watches today. I call this a perfectly timed deal! At a time when "get fit" New Year's resolutions are running rampant, one of my favorite health-encouraging smart watches is back at Black Friday pricing today. 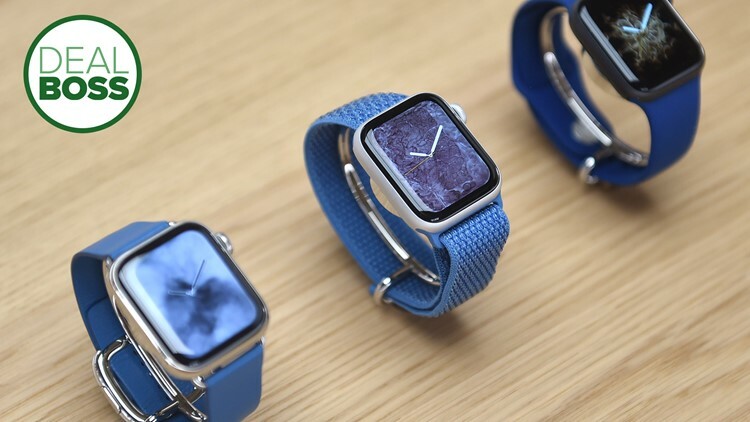 The features and design of the Apple Watch are unprecedented but I've always hated the price. That changes today with reductions at $50 off for the standard Apple Watch 3 model and $100 off for the GPS Apple Watch 3 model. To quickly answer the question of how the Apple Watch 3 differs from the newly released Apple Watch 4, the major difference is in proportions. The Apple Watch 4 sports a slightly larger screen but it is also thicker than the Apple Watch 3. I've found speed differences negligible and both devices have access to the same apps. Do you really need an Apple Watch? I never really thought I would want an Apple Watch. After all, how hard is it to look down at your smartphone? I have fitness apps on my phone and I'm rarely so far away from that device that I need a watch to bridge the gap. I also don't need yet another device to charge. After receiving an Apple Watch 3 as a gift, I started to appreciate being connected from my wrist. When my wife was pregnant, I relied upon the Apple Watch to wake me up if I was in a different city or needed information while I was on TV or traveling. Being able to easily glance at my wrist for notifications in a more discreet way without reaching for a phone is great for quick text or glancing at email. When my smartphone was damaged, being able to make a phone call from my watch to tell family I was okay, made the Apple Watch even more important. I also use it to track my smartphone when I misplace it. For tracking steps, counting calories, keeping an eye on your heart, sleep and other key health components, the Apple Watch shines (at least when it's on sale). If you are interested in the Apple Watch at $50 - $100 off, you can find it on sale right here for what's expected to be a 1-2 day sale only. How to easily double your Wi-Fi speed!